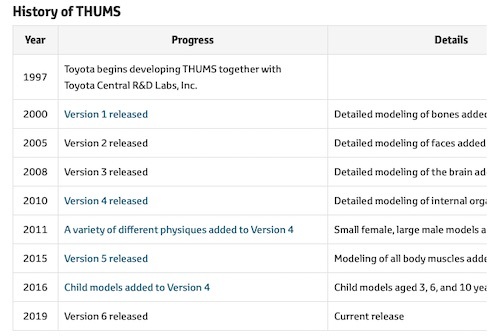 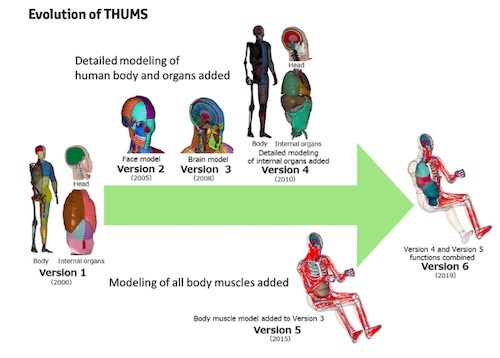 TOKYO, Feb, 08 2019 - (JCN Newswire) - Toyota Motor Corporation (Toyota) and Toyota Central R&D Labs, Inc. today release Version 6 of the Total Human Model for Safety (THUMS(1)) virtual crash dummy software. 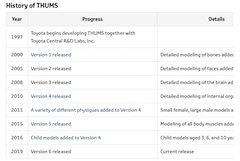 Researched and developed for over 20 years by the two companies, THUMS simulates detailed computer analysis of human body injuries caused by vehicle collisions. 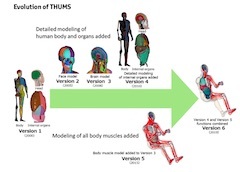 The new software features internal organ modeling and a new muscle model that simulates a variety of occupant postures, including braced and relaxed, permitting a more detailed analysis by anticipating various occupant postures as the widespread deployment of automated vehicles continues to advance.